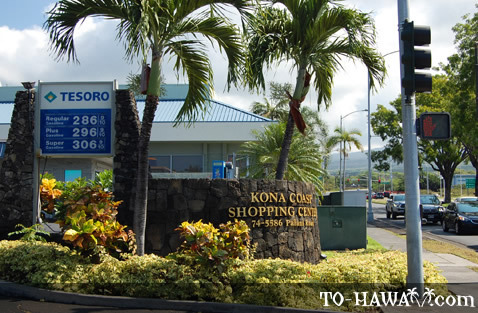 Conveniently located minutes from Kona Airport, the Kona Coast Shopping Center has a variety of department stores, specialty shops and restaurants. Apparel shops include Jeans Warehouse, Ross Dress for Less and Payless Shoe Source. 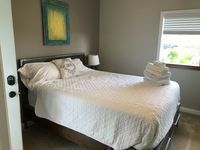 Other conveniences include a grocery store, electronics shop and 24-hour quick mart. 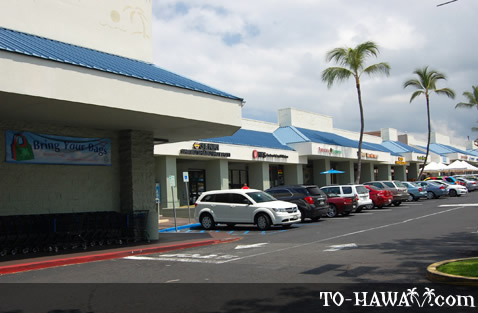 At the food court, you'll find everything from Asian cuisine (Taeng-On Thai Food II, Don's Chinese Kitchen, Ba-Le Sandwich Shop Kona) to fruit smoothies (Jamba Juice) to rich lattes (Starbucks) to juicy hamburgers (Kamuela Deli). The food court also offers free wireless Internet service where you can relax under giant umbrellas. For entertainment, the Kona Coast Shopping Center features hula shows on Tuesdays. Directions: From Kona Airport: Turn right on main highway (Queen Kaahumanu/Hwy 19). Drive 7 miles (11 km) and turn right at the fifth traffic light onto Palani Road.